Scanning financial documents can be incredibly taxing for small businesses and large corporations alike. Often requiring multiple applications to input information correctly. Thankfully, Canon has teamed up with Intuit Quickbooks to solve your financial woes. Using the Canon Scan for Quickbooks software, select Canon imageFORMULA scanners can splice information directly from invoices and receipts. Canon Scan will enable small businesses to stay organized and efficient as they grow, letting them manage their accounts receivable and expenses without the hassle of paying for yet another software. The connection between Intuit Quickbooks and Canon scanners is specifically designed to increase efficiency and meet deadlines, especially for those in finance and running their own business. The implementation of Canon Scan software speeds up the data collection process by scanning files directly into Expense Transactions QuickBooks Online, enabling users to input target account, category, and receipt amount at once. Beyond these special features, Canon imageFORMULA scanners still posses all the great features of other scanners like page skipping, cropping, and de-skewing images. Most helpful for small businesses is the ability to convert scanned documents into searchable PDF files, enabling businesses to quickly find the information they need to make their next move. 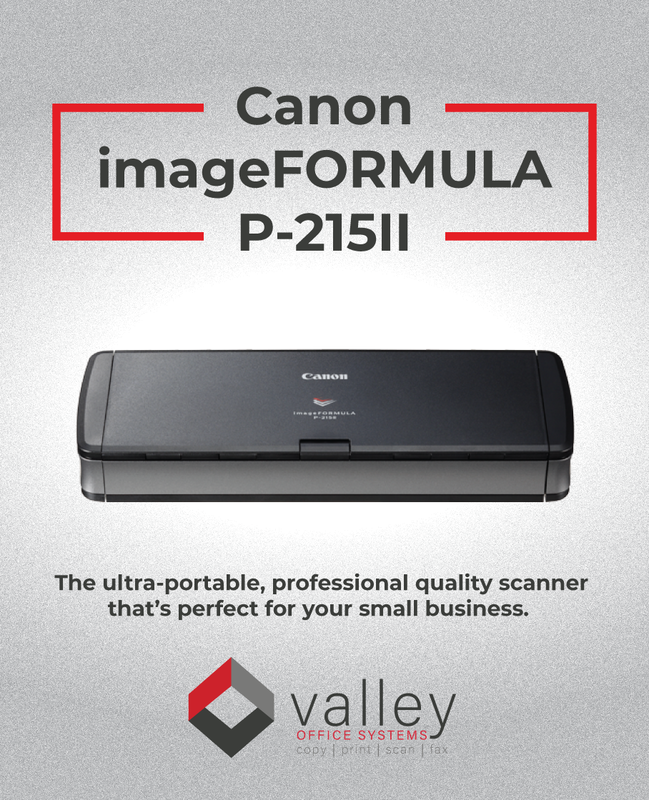 Valley Office Systems carries the Canon DR-C225, DR-C225W, P-215II, DR-C230, DR-C240, DR-M140, DR-M160II, and DR-M260 printers, all of which are compatible with Canon Scan for QuickBooks Online. You can find direct links to the scanners mentioned in this blog post below.